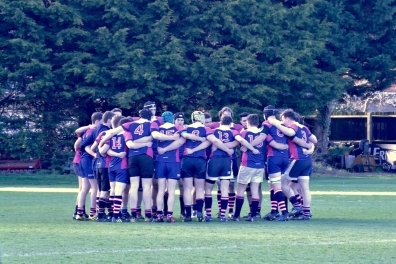 The Emmanuel College Rugby Football Club provides undergraduate and graduate members of the college an opportunity to play in the inter-collegiate rugby union competitions. The team competes both in league games and also in the knockout ‘Cuppers’ competition. The team currently play in division three, following a strong Cuppers campaign last year reaching the quarter finals. We also won the 2015/16 Cuppers competition, after finishing runners-up the previous season. The standard of rugby is similar to what people will have experienced at school and we welcome anyone – experienced or not- into the club. The time obligation is fairly minimal: training sessions are usually one weekday afternoon on Parker’s Piece (just outside college), and games are played on Saturday afternoons. Outside of playing rugby, the club is one of the best social hubs within Emma. Annual events include the AGM, an Old Boys match, and the annual Sportsday fixture against Exeter College, O*ford, while more regular socials happen fortnightly. You can follow the team’s progress on their Twitter or Instagram accounts. We’re always keen for new players - for more information, email the mens’ captain Tom Birdseye, or the womens’ captain Emma Nicholls.